The original recipe for these cookies included sultanas. I left the sultanas out and sprinkled the tops with chopped pecan nuts instead. We eat so many bananas in our household and I buy many bunches a week but we still have difficulty leaving them to go really ripe (the more black spots the better) so when this recipe called for mashed banana and mine weren’t particularly ripe, I decided to grate them along with the apple and carrots in my food processor. This worked perfectly and I will probably do it again to save mashing them. 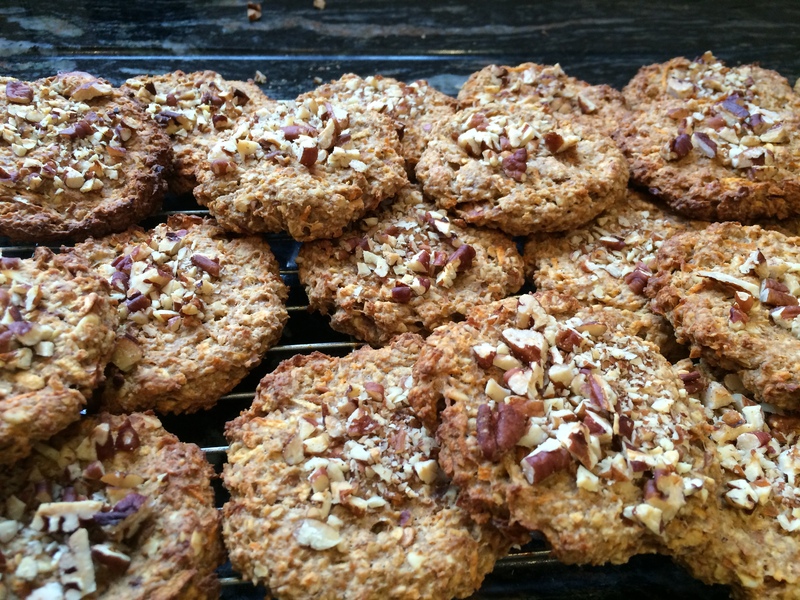 These deliciously chewy cookies are well worth making and they are very difficult to leave alone as they are so tasty. Grate the apples (no need to peel them) and carrots, and mash the bananas (or as I did, pop the bananas through the grater as well). Mix with all other ingredients in a bowl (except the chopped pecan nuts). Either grease a baking sheet with coconut oil, or line with baking parchment. Roll a dessertspoon of the mix in your hands and pat it into a cookie shape on the tray. Sprinkle the tops with chopped pecans. Bake the cookies for about 30 minutes in a 200°C oven until they turn golden brown. Leave them to cool slightly before transferring them to a cooling rack. Store in an airtight container for about 5 days. This quantity made 25 cookies. 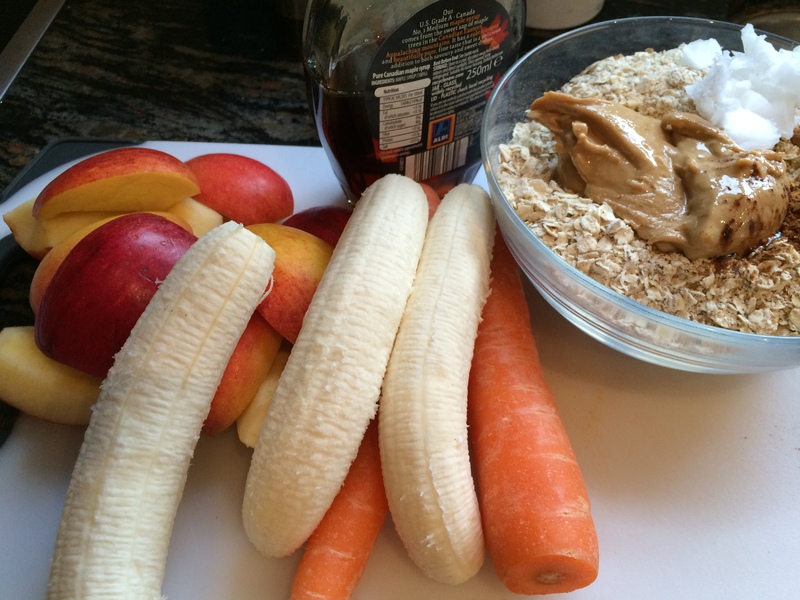 This entry was posted in Miscellany, Sweets and Treats and tagged Apple, Banana, Carrots, Cookies, Gluten Free, Healthy Eating, Oats, Vegetarian, Wheat-Free. Bookmark the permalink.